Studies show that a majority of abused and accidental poisonings are caused by unused prescription medications that are stored in the family medicine cabinet. Improper disposal such as flushing them down the toilet or throwing them in the trash pose a serious health and safety hazard. 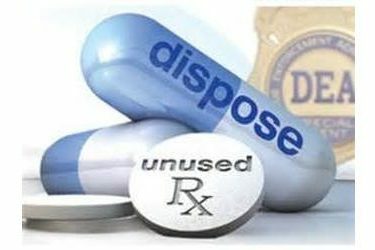 The Liberal Police Department will be collecting unused/expired prescription drugs at Dillons (1417 N. Kansas) and Walgreens (10 W.15th) from 10:00 a.m. to 2:00 p.m. on 09-26-2015. Bring in any unused/expired prescription medications to either location for proper disposal. Only pills and patches will be accepted. We are unable to accept liquids, needles or other sharps. For more information contact School Resource Officer Cherrie Miller at 620-604-1307.